Enter blogdown, the new brainchild of Yihui Xi. Though still in the early beta stage, blogdown checked all the boxes I was looking for. blogdown is a R package that combines the ease of RMarkdown with the flexibility and customizability of Hugo. Hugo is an open-source static site generator similar to Jekyll, which means it builds your website once rather than each time a user visits it by taking all files within the website’s directory and rendering a complete website. This post assumes you already have R/RStudio installed on your machine, a basic familiarity with the command line, a GitHub account, and an internet connection. Importantly, you do not need to have advanced R or web design skills. The first step towards building your new blog is to create a GitHub repository for your blog (we’ll call it blogdown_source here for reasons explained later). Initialize the repository with a README.md file. Next, click the green clone or download button on the right side of your new repo’s page and copy the URL. Open up Terminal and use cd <desired directory> to navigate to the directory where you’d like your new repository to live. I keep all my repos in a GitHub/ folder on my desktop, so I’ll put the repository there. After navigating to the desired directory, run git clone <GitHub URL> to clone the new repository. Open up Finder; you should now see the blogdown_source/ folder containing only the README.md file. Now that you’ve successfully cloned the repo, delete the README.md file. Don’t add anything else to this folder just yet, blogdown requires an empty directory to get started. A great feature of blogdown is that it handles the installation of Hugo for you, which means you don’t need to know much about Hugo to start blogging with blogdown. I found this to be a big advantage over the complicated dependencies and installation process of Jekyll. Load the blogdown package and run the install_hugo() command. This can just be done in the console. Doesn’t get much more straight forward than that. Like install_hugo(), blogdown provides the handy new_site() function to automatically create the required Hugo structure for your website in the (empty) directory you specify. Another great feature of this function is that you can use the theme argument to specify the theme you want for your website and blogdown will download all necessary files into the new site directory it creates. Check out Hugo’s theme gallery for a ton of options. Let’s try the Tranquilpeak theme theme, which we specify with theme = 'kakawait/hugo-tranquilpeak-theme', which is just the GitHub user and repo name for the theme. We’ll also set the format argument to format = 'toml' to tell blogdown that we want to use toml for our site’s config file. Using toml is actually the default setting but I wanted to point it out because the config.toml is important for customizing your website. Once you select a theme for your site, checkout the GitHub repo for the theme and determine whether the theme file is a .toml or .yaml file and set the format argument accordingly. Congratulations! You now have a functioning website created with blogdown! However, before you’re ready to publish your site and start and writing blog posts, let’s first understand a bit more about how Hugo and blogdown work together to organize and build your site. Open up your repository folder. You should see a bunch of new folders and files, including for the theme you told blogdown to use for your website and the demo RMarkdown post in the blogdown/post/ directory. While you should definitely see Hugo’s documentation for details on the purpose of these directories, I’ll explain the key elements you need to understand to get started with blogdown. config.toml - The configuration file for your website. This file tells Hugo how it should render your site, as well as define its menus, and set various other site-wide parameters. This file will look different for every theme, but they will all contain some basic components. baseurl set this to the desired URL for your site, in this case baseurl = "https://<usernamr>.github.io/"
Ok, at this point we have a functioning Hugo website with a cool theme. We’ve set the baseurl and given our site a title and description. Now it’s time to start creating content. blogdown lets you easily create new content with the aptly named new_post() and new_content() functions. These functions will both create a new RMarkdown or markdown file in a sub directory of content/ that you specify. new_post() is essentially just a shortcut for new_content(path = 'post/'). Let’s create a new post, being sure not to include spaces or other special characters in out title. Again, blogdown helps us out by creating and opening the .Rmd file for our new post, which it placed in the content/post/ directory. We could’ve specified .md as the file type if we wanted to use plain markdown. The newly created file has .yaml front matter, which includes the date:, draft:, and title: fields. Another thing blogdown does is to prepend the date to the file name and title. This is done to assist with ordering content, but we can remove the date from the title: field as long as we keep the date in the file name and date: field. We can now type away like any other RMarkdown document! When the site is rendered locally with serve_site(), the new hello-world post will be the top entry. Note: If you set draft = TRUE in your blog post’s .yaml header, blogdown will display this post when previewing your site locally with serve_site() but the post will not be included in the final rendered version of your site that gets created with build_site(). Unless you’re creating this website for your eyes only, you still need to publish it before the rest of the world can read your ramblings. Fortunately, there are numerous options for deploying your new site and the blogdown documentation has a whole chapter dedicated to deployment. In this post, however, I’m just going to talk about the two approaches I’ve tried and thus have personal experience with - GitHub Pages and Netlify. Two branches (and a subbranch) - Remove all source content from the master branch and place it in a new branch, using a subbranch to mirror the public/ folder on the new branch to the master branch. While this method allows you to store all your content in the same repo, it’s rather confusing to set up if you’re not a GitHub ninja. If you decide to go the two-branch route, see this great post by Amber Thomas (which was my primary resource) and this post by Jente Hidskes. Two repositories - Create two GitHub repositories - one to store your source content (such as blogdown_source) and one to host the rendered website (this repo must be named <username>.github.io). More info about the technical requirements of different GitHub Pages sites can be found here. Though this approach is less streamlined than the two-branch method, the only real added hassle is remembering to push an additional repository to GitHub. After initial partly-successful attempts to use the two-branch method, I decided to keep it simple and use the two repository method when I first published my blog in early 2017. If you choose to use this method, there are a few additional steps you need to take. First, if you don’t already have a repository setup for your .github.io page, repeat the steps for creating a GitHub repository described above and create/clone that repo now. Next, add the publishDir option to your site’s config.toml. This option tells blogdown which directory it should place the rendered site in and will include a copy of everything that gets generated in the public/ directory of your site’s source repository. Set this option to publishDir = "../<username>.github.io" (adjust this path as needed to point to your <username>.github.io repository relative to the location of the blogdown_source repository). Tell blogdown to build your site with build_site() (no arguments required). Once your site finishes rendering, take a look at your <username>.gihub.io directory, it should now contain the same files as the public/ directory of your source content repository. Lastly, open up Terminal, navigate to your <username>.gihub.io directory using cd <path to username.github.io repo>. Stage all changed files, commit your changes, and push your new site to GitHub. 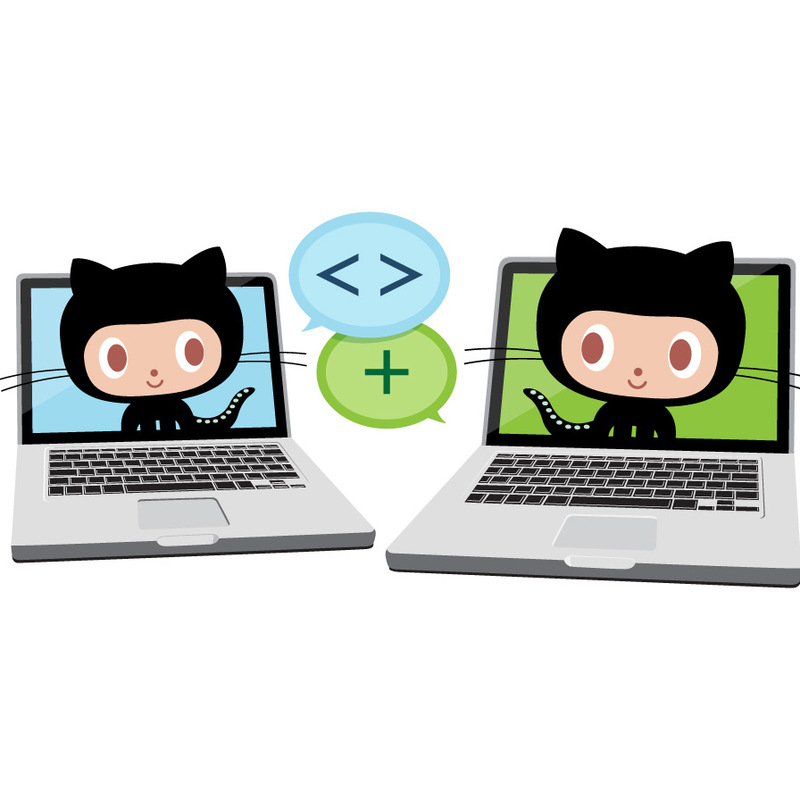 GitHub Pages is a great option that allows you to keep your entire website workflow within GitHub. However, after using this method for a year, I decided to migrate my blog to Netlify Netlify - an automated static site generator that will automatically generate your blogdown site each time you update the GitHub repository containing your site’s code. Getting setup with Netlify is easy, just go to the Netlify sign up page and sign up using your GitHub (or other cloud git client) account. Once you’ve created a Netlify account, click the green(ish) “New site from Git” button in the upper right corner. Next, select GitHub as your Git provider and choose your newly created blogdown repository as the repository you want to link to Netlify. Tell Netlify to use public as the publish directory and to build the site using Hugo via the build command “hugo”. You also need to specify a newer version of Hugo to use for building your site under “Advanced build settings”. The blogdown documentation recommends using at least version 0.20. That’s it! Click “Deploy site” and then navigate to your new website at the url Netlify gives you to check out your hard work! For me, blogging with blogdown has been a rewarding way to build an online presence as well as a way to motivate myself to continually learn new programming skills and explore interesting content. If you’re like me and you really value the great resources being shared by programmers/data scientists everyday on blogs, I encourage you to create your own and join this amazing community! Lastly, if you found this post useful or have any lingering questions/suggestions, please leave a comment and let me know!